You love being a photographer. Your images hold a special place in your heart. They’re part of how you meaningfully engage with the world around you. They’re an expression of your intuition, your worldview, your questions and answers. For some people, that’s enough - more than enough. Some people are content for their photography practice to be a private, intimate journey. But, what if you want to share your vision? What if you want to show your work to a wider community (or the entire world! ), but you’re not quite sure how? What are your options if you want other people to feel the same emotions your photographs inspire in you? What if you know your work deserves recognition, but you don't know how to get it in front of the right people? For 20 years, my students and mentoring clients have asked for my help with exhibiting their work. I’ve been in thousands of conversations about how to exhibit, where to exhibit, when to exhibit, which images to exhibit, and more. In Exhibition Masterclass: Bravely Showcasing Your Photographs, I’ve gathered those answers together for you. What exactly is Exhibition Masterclass? Exhibition Masterclass is an 18-part multimedia e-course that pulls back the curtain on the world of galleries, juried competitions, portfolio reviews, and everything it takes to exhibit your photographs. Instead of stumbling through and piecing it together all on your own, Exhibition Masterclass gives you a detailed collection of the best practices, industry standards, key considerations, and insider know-how that you’ll need to successfully exhibit your work. What will I learn in Exhibition Masterclass? This audio will guide you through a process of clarifying your intentions. Do you want to exhibit so you can sell your work? Raise awareness for an issue you care about? All galleries do not operate identically, so the first step is getting clear on your exact priorities, so you can pursue opportunities that are in alignment with your intentions. And everyone's favorite: how to price your work! You've got the show - now how do you actually hang your work? Step 2: We'll schedule a 60-minute mentoring call. Ask me anything - it’s your time to use however you like. I’ll offer feedback on your images and we’ll chat about your exhibition goals. 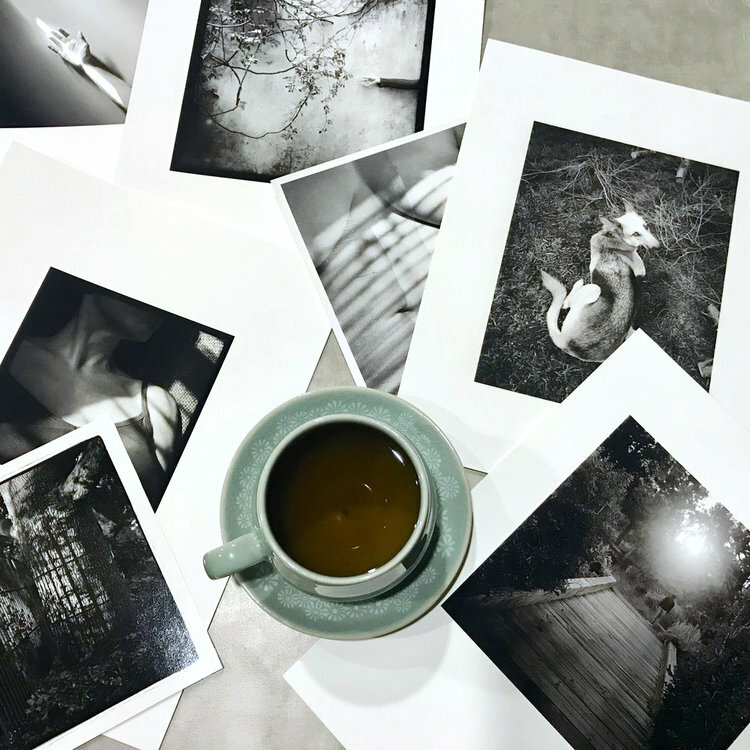 I can review your gallery submissions, provide suggestions for improvement, and help you envision your printing/framing/hanging plan so your installation (no matter your budget) is beautiful, professional, and never boring. We'll also talk through any creative challenges you’re experiencing and map out your next steps so you have greater clarity moving forward. The mentoring option is an excellent fit for people who want detailed feedback and personalized advice as they prepare for an exhibit in the near future. It's also an ideal choice for people who want help laying the groundwork so they're well prepped for future exhibition opportunities. I've spent about 20 years as a photographer, curator, arts director, and educator. 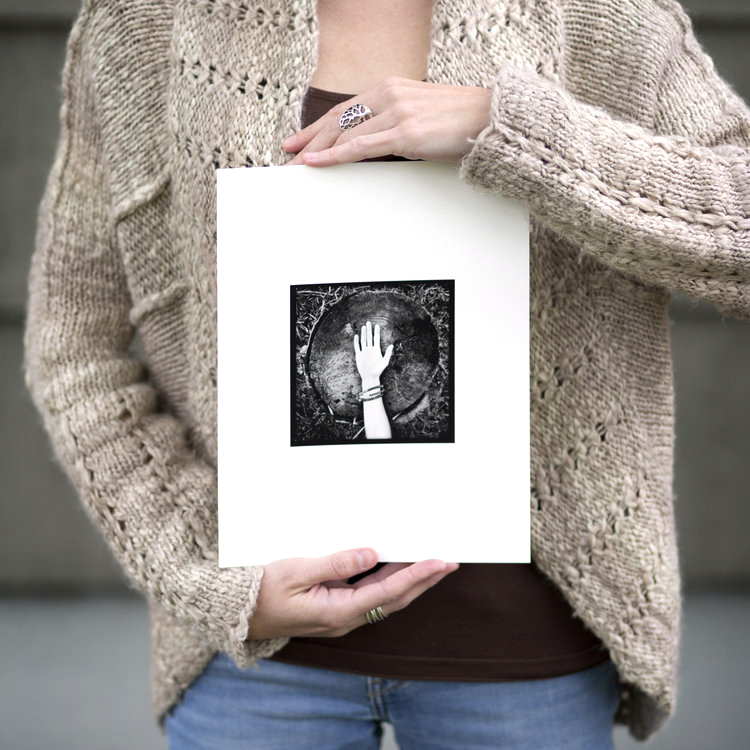 I worked for 15 years in the nonprofit art world, most recently as Outreach Director at Photolucida - an organization that works to build connections between photographers and the gallery and publishing worlds. I often serve as a professional reviewer at portfolio review events like Houston FotoFest, Review Santa Fe, Photolucida, and many international reviews, where I help photographers fine-tune their vision and promote their work with more confidence. I've also juried exhibitions for many organizations over the years, including Center (Santa Fe), PDN, The Oregonian, Photo Center Northwest, Critical Mass, Rangefinder Magazine, PhotoPlace Gallery, and the KL Photography Awards (Malaysia), among many others. Exhibiting your work can be a powerful way to polish your creative vision, make connections with people who get your work, and inspire others with your artistry. If those things are high on your list of priorities, I made Exhibition Masterclass for you. Thank you for believing in me and my work! I would not have been so fortunate with my art successes without your early assistance. I imagine there are MANY photographers who feel the same way about you that I do! You are a tireless supporter and advocate and I am very grateful, thank you. How can I tell if I’m ready to start exhibiting my work? If you feel called to share your work with a wider audience, you're ready. If you're nervous about the whole idea of exhibiting, but you just can't stop thinking about how amazing it would be to see your images on a gallery wall, you're ready. If you know you'd benefit from honing your vision and polishing your work, you're ready. Can I take this class if I'm a newer photographer? You can. Exhibition Masterclass is geared towards artists in the beginning stages of thinking about exhibiting. You don't have to be a master to take this class - this class will help you become a master. If I've already exhibited, will this course be valuable for me? If you've already had major solo shows at top-tier galleries and you have a résumé a mile long, this class isn't for you. But, if you've participated in group shows or had a solo show at a small gallery or casual community venue, and you're ready for more? You'll find lots of helpful info in this e-course. How long will it take me to go through all the material? On average, the lessons and interviews are about 20 minutes long. You'll have access to all the material for one full year, so you can revisit it at any time in that window. Because you’ll receive all of the material when class begins, all sales are final.